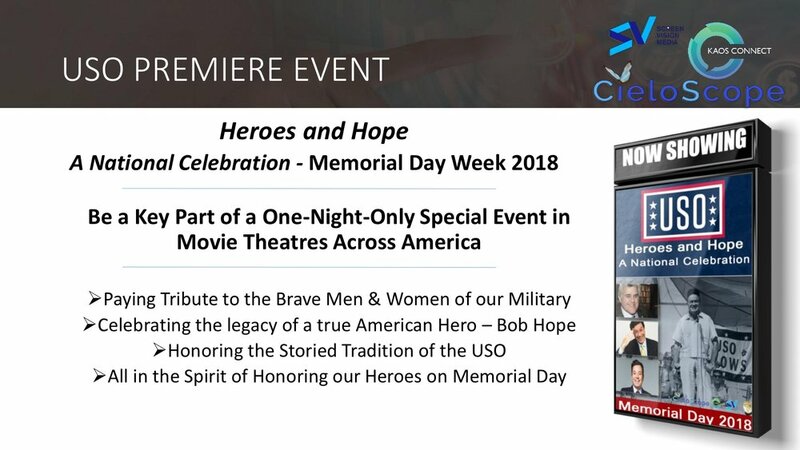 An 80-minute filmed event with multiple extensions through modern media of today, in the spirit of this important holiday and messaging of our support via a celebration of Bob Hope’s legacy with the USO. 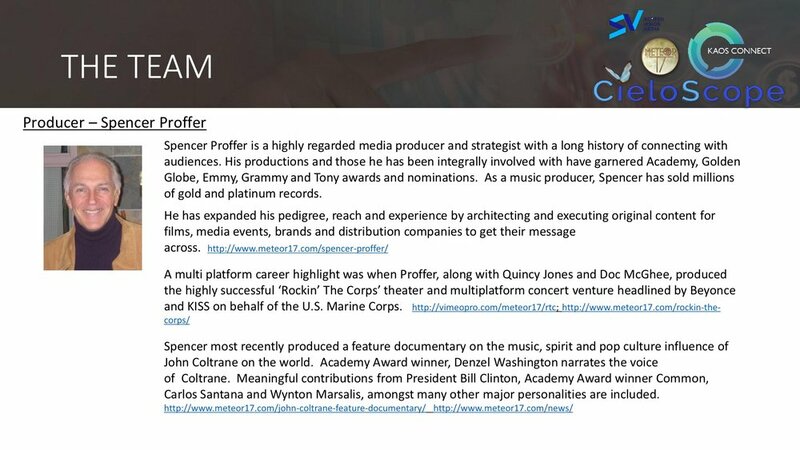 The filmed presentation, which will premiere as a one night event in over 500 theater screens across America next Memorial Day, will be followed by an all-star, high profile panel discussion described further in the deck embedded on this page. 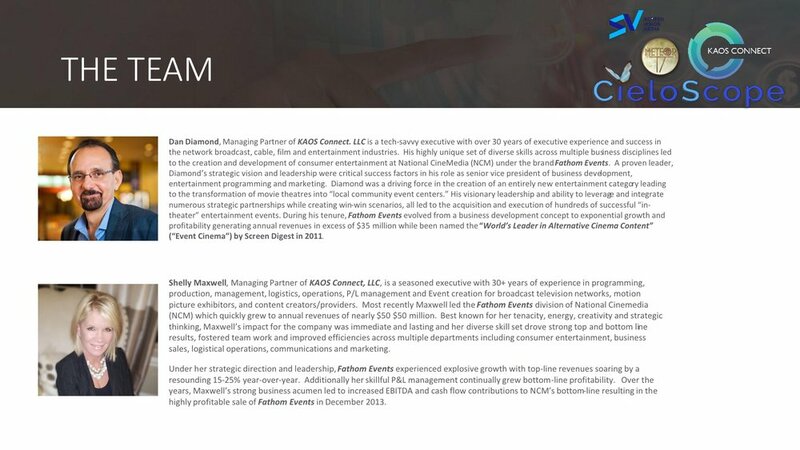 Dan Diamond and Shelly Maxwell of KAOS CONNECT will serve along Proffer and Sams to coordinate and produce the theater event component. All involved plan this to be the blueprint for an annual event which will highlight both The Bob & Dolores Hope Foundation and the USO - bringing the conviction and tone of the great work Bob Hope repeatedly accomplished with the USO which carries forward today with the our active military members. Additionally the film will highlight and pay homage to our fallen servicemen, utilizing moving filmed clips, music and testimonials. 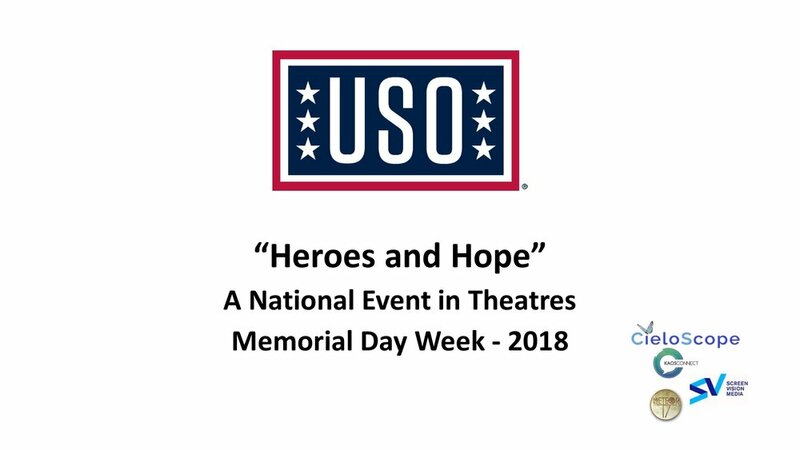 The film and event will be in the spirit of Memorial Day and all holidays that celebrate our troops, the overarching intent is to salute the troops and vets of yesterday and today throughout, while acknowledging those who have passed away in service to our country. 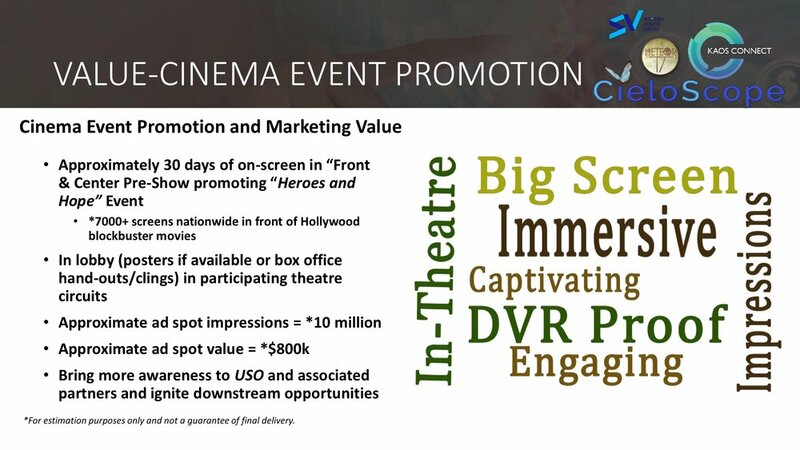 The film and active theater and online panel discussion will tap into the ethos of America’s heart and soul. 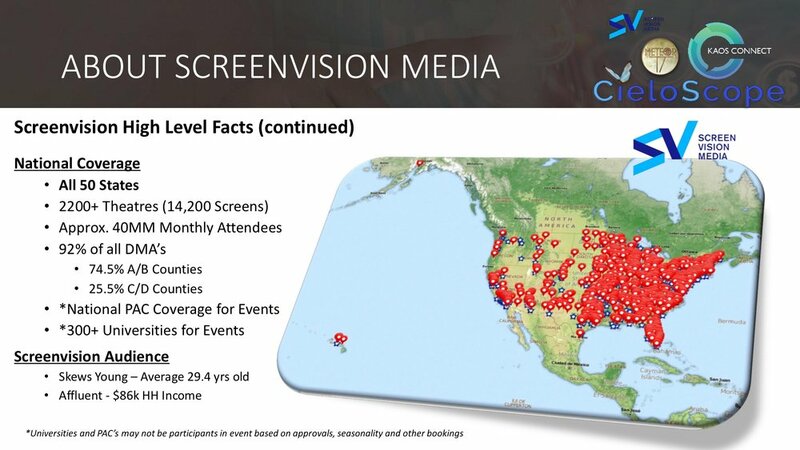 We will invite all of America to participate while they are being engaged, entertained and emotionally moved.